Self catering accommodation for 2 or 1 for the unbelievable prices as quoted below. Relax for a Friday and Saturday evening in our calm, serene surroundings. Ideal chance to break away after a hectic week!! Come and stay with us on a Friday and Saturday night for 2 people or just break away alone for some quality time. Calm, serene, picturesque gardens and a magnitude of bird life will be exactly what you need for the ultimate weekend break away from the hustle and bustle of modern life. Come sleep the day away or sit in our garden and absorb nature as the numerous birds chirp away all around you. Come discover our artistic gardens and abundant plant life all around our guest house. All above rates are on a self catering basis. Follow our news and special offers on Facebook. Online bookings can be made via our Facebook page. Realtime availability can be checked and booked. 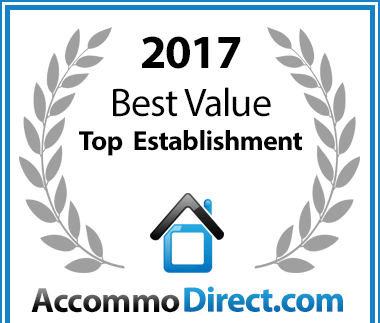 For accommodation in Beacon Bay, East London: Parrot Peek Inn has been named a Best Value establishment.